Ubud’s Nightlife… Is There Such a Thing? 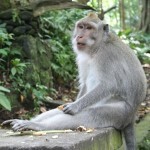 The artsy village of Ubud is mainly known for traditional Balinese crafts, yoga studios – and monkeys. And while the famous Monkey Forest is worth visiting, when it comes to exploring Ubud’s nightlife, you’d be forgiven for being a little skeptical. And though it is true that the place doesn’t exactly offer sizzling nightclubs that keep thing popping till the break of dawn, when you scratch the surface, Ubud does have its own nocturnal charms. Check out our picks below. Whether you’re looking to kick back with a group of friends or looking to make some new ones, Laughing Buddha Bar is the perfect destination on any given night. This lively bar and restaurant has an irresistibly friendly vibe about it. 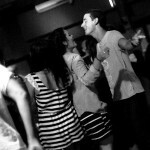 The venue regularly hosts live music, which only adds to the laid-back vibe of the place. The music ranges from jazz to blues and beyond. On the menu you’ll find a nice mix of Mediterranean and local cuisine. Borrowing its name from the Parisian establishment once made famous by the likes of Hemingway and Fitzgerald, this Balinese spinoff lures customers by promising them something that can be hard to come by in Bali: good wine. The restaurant offers a selection of more than 40 different wines from around the world. Located in the heart of Ubud, the restaurant is a great place for watching the hustle and bustle of the village while enjoying good wine with a great stake. It’s hard to describe Betelnut in a single word. Part restaurant, part performance hall and part noo-dle bar, legendary Betelnut has it all. This is a great place for catching a live performance from local and global talent alike, attending a special movie screening or simply for enjoying a truly delicious dinner. Their cigar lounge serves a seemingly endless array of cocktails – alongside genuine Cuban Cigars. Yes, we’re adding a yoga studio to the list. But before you write us off us total hippies, hear us out. Though this is definitely not a place for a wild night out, this tropical yoga studio is a great place for doing exactly what travelling ultimate is all about: meeting new people and gaining new experiences – where else are you gonna try Tibetan Bowl Meditation? Still need convincing? Yoga studious are a great place for meeting girls. Thanks to a certain movie, places like the Yoga Barn are simply filled with women of all ages looking to eat, pray and love.